Sometimes I get paralyzed and can’t write. I have a hard time distinguishing what would be the best thing to share because I experience so much in this amazing city every week. I’m continuing to meet new people and I’m deepening relationships with friends I’ve met over the last four months. I’m witnessing wonderful, learning experiences in my classroom and I’ve (almost) memorized the names of my 240 students. I’m getting involved with organizations and continuing to explore art galleries, museums and the many little streets and shops in Istanbul. Time is moving at an incredible pace. The end of another year will be here shortly and when I reflect on my Annual Review this year, it will show the satisfaction of a goal realized; a goal that began 7 years ago with a free trip I won to Paris and London. I am entirely grateful. My life is rich beyond measure. Somehow I was fortunate enough to get a job at a great school in a culturally rich city. 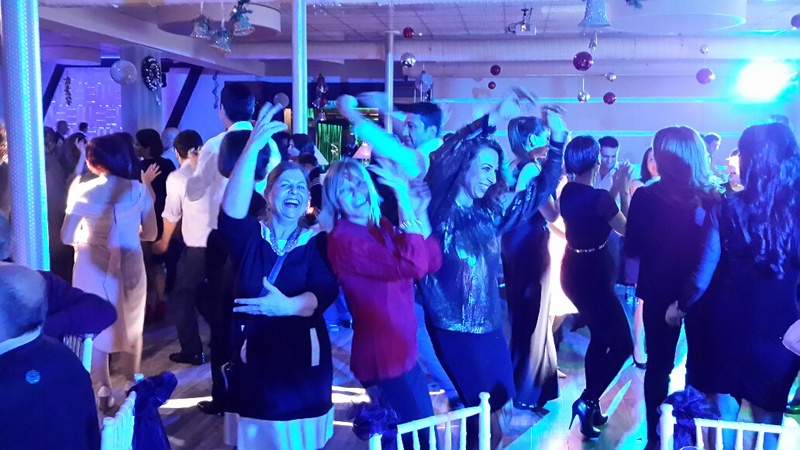 Recently my school gave us an evening at Portaxe, a beautiful restaurant, on the shores of the Bosphorus. This was in recognition of Teacher Appreciation Day, an actual day on the Turkish calendar, in which teachers are given gifts of love. 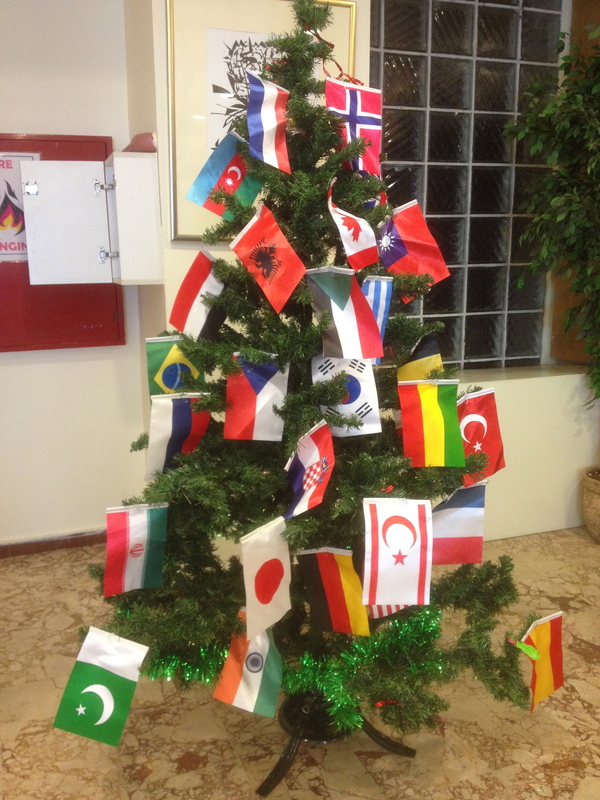 It is so nice to be in a country that actually appreciates its teachers! As we entered Portaxe, we were greeted with trays of cocktails and the evening was celebrated with an open bar, delicious food, live band and lots of dancing! This past week we were given a beautifully wrapped box containing a personalized bottle of Cabernet Sauvignon and deliciously rich Christmas fruit cake. 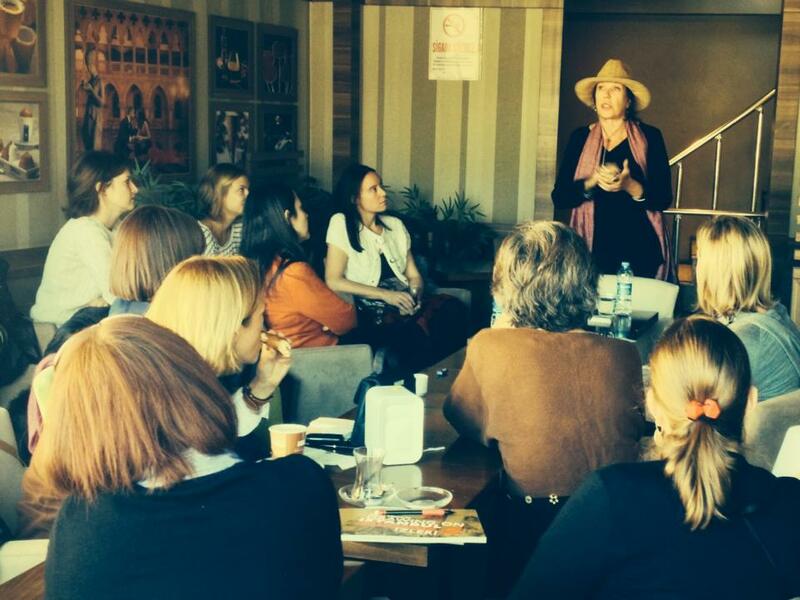 Two of the very best discoveries of moving to Istanbul are two organizations I’ve joined called FWI (Foreign Women of Istanbul) and PAWI (Professional American Women of Istanbul). FWI operates with a Facebook presence and these remarkable women can answer any question about Istanbul that is put before them, including, “Where can I find marshmallows in Istanbul?” and my recent question of “Are banks open on Sunday?” PAWI meetings are monthly and rotate between Asia Istanbul and Europe Istanbul. Their meetings always include guest speakers. Since I’ve been here, our speakers have included a psychologist, who shared her experiences of working with people on the residual effects of the Gezi protests, a historian-artist-writer who just published her second book, Drawing on Istanbul 2, and the Adahan Hotel and Restaurant owner who spoke to us about the years of sacrifice she and her husband gave to an 1874 building, bringing it back from the dead and turning it into a thriving business. The discussions and knowledge base of these women is broad. Some are attorneys, others writers. Some work in marketing, others as translators. Some are owners of restaurants and hotels and some work in banking and education. Within these groups I’m finding many new friends, each with her own unique story of how it is she lives in Istanbul. I’m happy to report that I’ve also experienced my first snowfall in Istanbul. It was gorgeous! It not only snowed in Istanbul, it snowed all over the Middle East and we quickly learned how Cairo, Egypt got snow for the first time in 122 years! After easing myself down the hill that morning, and into my warm classroom, I was shocked at the beauty outside my wall of windows. The sight continued to amaze my students and I all day long as nature painted a frozen picture across the landscape. Although we were graciously given two days of early release, I was hoping for a snow day so I could somehow get to Aya Sophia, lay down in its courtyard and make a snow angel, as I’d heard of some teachers doing last year. The availability of world-class art continues to amaze me. 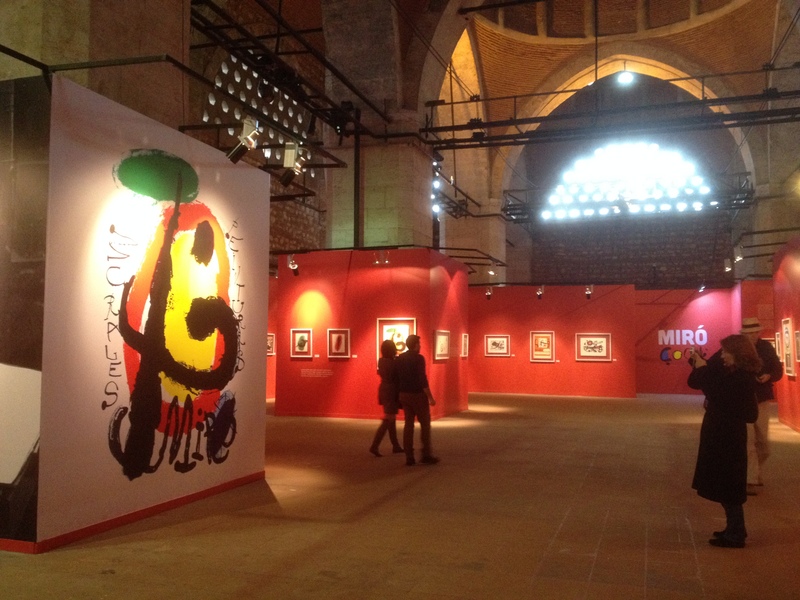 Last week I went with a Turkish friend to the Miro Exhibition. I found it difficult to concentrate on the beautiful artwork because I was distracted by the amazing architecture. The exhibition building was a canon factory during the Ottoman Empire and I could not keep my eyes from wandering to the domes of the brick ceiling. After leaving, we wandered down antique-filled streets, twisting and turning, as all Istanbul streets do, and walked by Orhan Pamuk’s Museum of Innocence. We made a quick decision to view that collection another day. 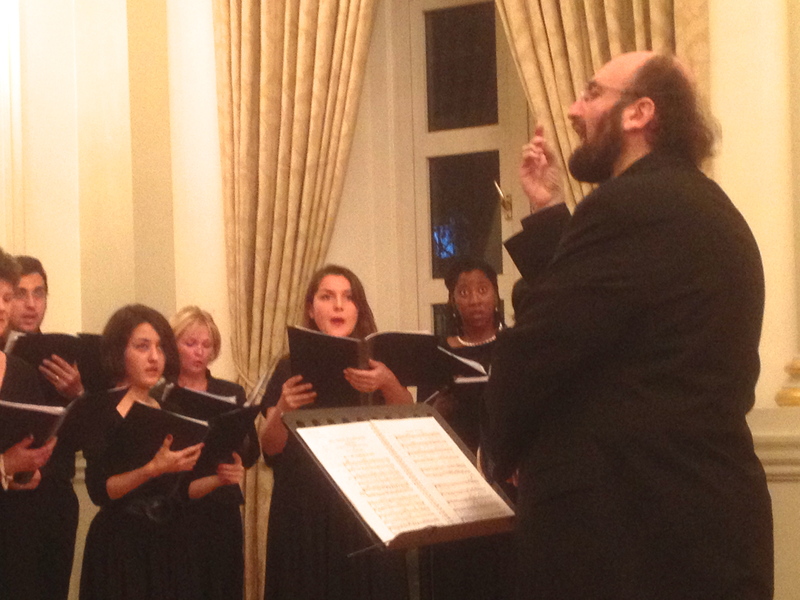 That evening I was able to listen to a friend sing in a choral concert at the British Consulate. Because of the bombing at this British Consulate in 2003, its grounds are heavily guarded and security is ever-present. Walking past photos of Queen Elizabeth and ancient looking framed documents, I noticed how elegantly the Christmas decorations were placed; fully regal, yet understated and charming. The singing was beautiful and transported me to thoughts of peace. This week I will be flying to another distant, far-away place. I will spend the Christmas holiday with a friend that I met at the SEARCH Associates Boston International Job Fair last year! She got a job, that wretched, blizzard weekend, at an IB school in Switzerland, and she now lives there with her daughter. We’ve deepened our friendship over the months over Skype calls and we are eager to see each other again and share stories of the first half of our school year. In these last few days of 2013, I want to challenge you to set your own plan in place. Kick the rock to start its tumble down the hill. Don’t be afraid to make your dream happen. This beautiful place I live- this dream that I’m living- did not happen overnight. I started planning it in 2006-almost eight years ago! Time goes quickly and life is such a gift. As we quietly pass into 2014, I wish you love, peace, health and inspiration. Be well! The ad below is placed on my blog by WordPress. I do not have any opinion or association with the ad. Please do not “click” it. Thank you.